Unlock Your Kyocera Phone in just few minutes! Choose your Kyocera phone by selecting or searching from the drop down list. 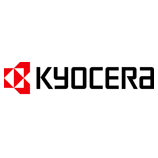 If you can't find your Kyocera model contact us. In an age of cheap manufacturing, Kyocera phones are built to last. Their rugged construction means they can withstand the elements, but this doesn’t mean they aren’t packed with features. Kyocera phones running Android are used all over the world, and some of the most popular models include the waterproof Kyocera Hydro AIR, the business-oriented Kyocera Brigadier, the user-friendly Kyocera Hydro Wave and the flip-phone Kyocera DuraXV. Although Kyocera devices have a reputation for being tough, thankfully they aren’t difficult to unlock. With our simple to use service, you’ll be able to use your Kyocera phone on any network, in any country. The best part is that we help you to unlock your phone in next to no time at all – most Kyocera smartphones are unlocked in a matter of hours. What do I need to do to unlock my Kyocera device? Firstly, you will need the IMEI number that corresponds to your phone. This is your device’s unique identifier, and from this our team of experts are able to discover your unlock code – allowing you to enjoy the ultimate freedom to use your Kyocera device exactly how and where you want to. To find your IMEI number, simply look under your phone’s battery. If your device does not feature a removable battery, you can find your IMEI number by dialling *#06# on the keypad. How do I enter my unlock code? Simply replace your existing SIM card with the SIM of your desired network. When prompted for the SIM unlock code, enter the password we provide you with. It’s really that simple!